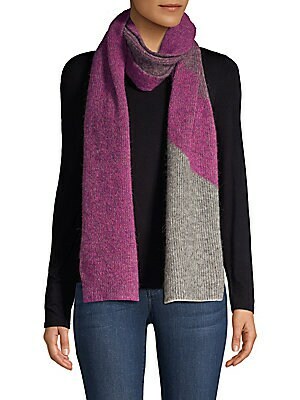 Soft ribbed scarf with ombré stripe detail. Polyamide/acrylic/alpaca/wool/elastane Dry clean Imported SIZE Length, about 74. Soft Accessorie - Cold Weather Accessories. Rag & Bone. Color: Light Grey Blue. Lightweight luxe wool shawl trimmed with delicate fringe. Open front Cape sleeves Asymmetric hem Wool Dry clean Imported SIZE 50"W x 57"L. Soft Accessorie - Cold Weather Accessories. Portolano. Color: Grey White. 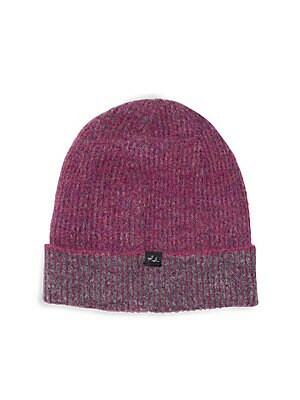 Soft ribbed beanie with subtle two-tone detail. 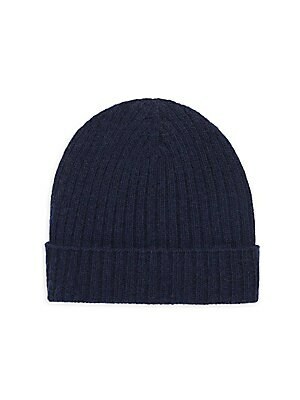 Cuffed brim Polyamide/acrylic/alpaca/wool/elastane Dry clean Imported SIZE Length, about 8.5. Soft Accessorie - Cold Weather Accessories. Rag & Bone. Color: Magenta. 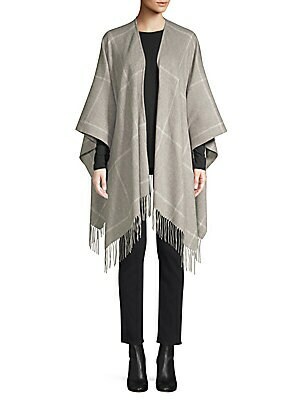 Lightweight luxe wool shawl trimmed with delicate fringe. Open front Cape sleeves Asymmetric hem Wool Dry clean Imported SIZE 50"W x 57"L. Soft Accessorie - Cold Weather Accessories. Portolano. Color: Navy White. 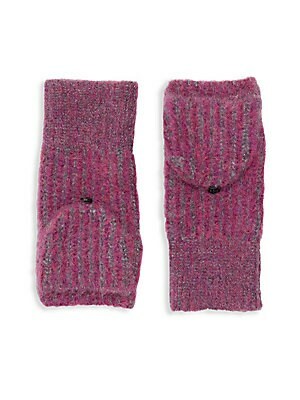 Convertible fingerless mittens in cozy ribbed alpaca blend. Button-down flip top Polyamide/acrylic/alpaca/wool/elastane Dry clean Imported SIZE Length, about 8. Soft Accessorie - Cold Weather Accessories. Rag & Bone. Color: Magenta. 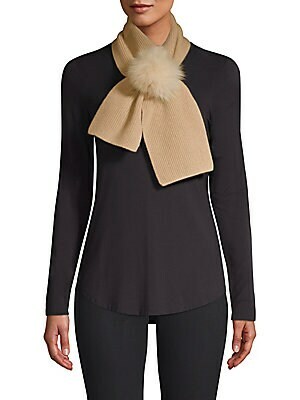 A luxe dyed fox fur pom-pom adorns this ribbed cashmere scarf. Cashmere Fur type: Dyed fox Fur origin: China Dry clean by fur specialist Imported SIZE 5.75"W x 38"L. Soft Accessorie - Cold Weather Accessories. Portolano. Color: Mushroom. 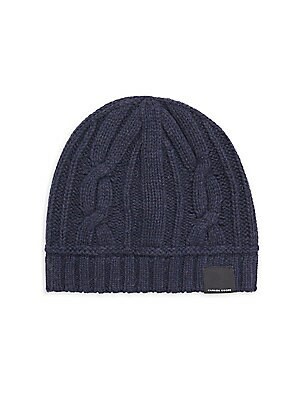 Woven merino wool toque features ribbed band for close fit Merino wool Dry clean Made in Italy. Soft Accessorie - Cold Weather Accessories. Canada Goose. Color: Iron Grey. Cold-weather must-have knit from 100 percent cashmere Cashmere Dry clean Imported. Soft Accessorie - Cold Weather Accessories. Portolano. Color: Grey. Cold-weather must-have knit from 100 percent cashmere Cashmere Dry clean Imported. 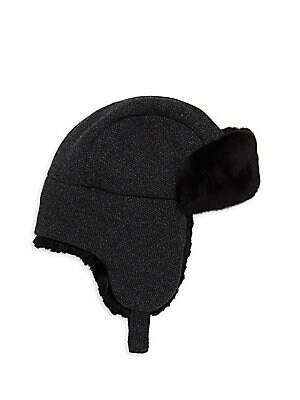 Soft Accessorie - Cold Weather Accessories. Portolano. Color: Uniformnavy.